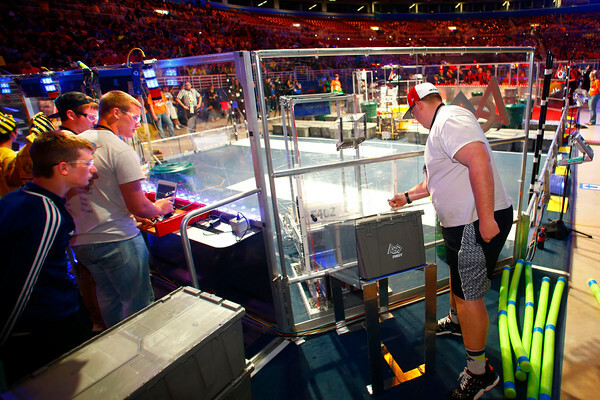 FIRST Robotics World Championship in St. Louis April 24, 2015. The competition started with 600 teams including Kokomo HS, Western HS, Cass HS and Northwestern HS. Cass HS Iron Knights human player Michael Piercy feeds a tote to a robot during a qualifying round.